LWVMGC is pleased to welcome Dr. Dominika Parry as the keynote speaker for the 2019 Annual Luncheon. 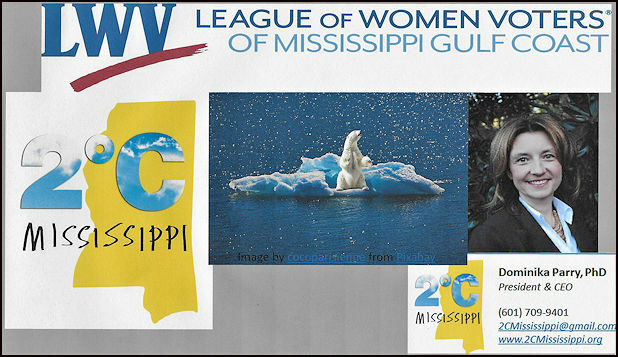 Dr. Parry is an authority on the environment and founder and President of 2CMississippi. She will be sharing her knowledge of how to be environmentally kind to our state. Please use the eventbrite link to purchase your tickets today. Deadline to get tickets is NOON April 10. Don’t miss this interesting and informative presentation.